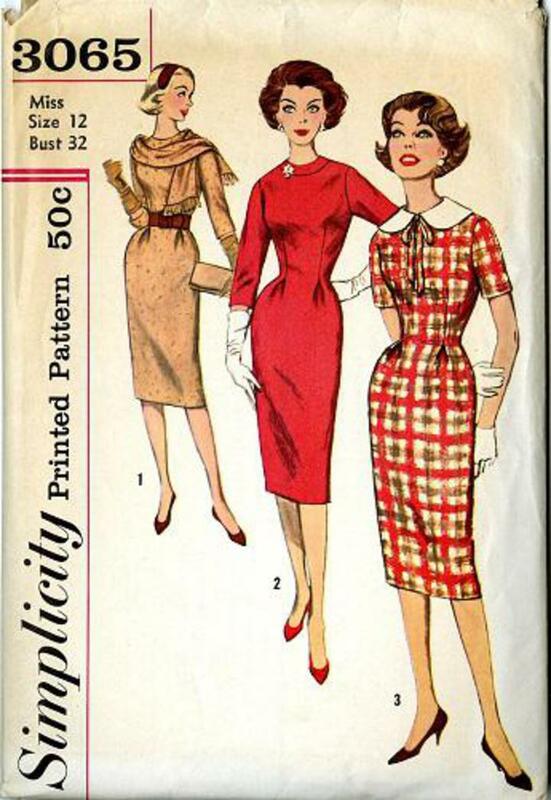 1959 Simplicity #3065 vintage sewing pattern, misses' fitted one-piece dress, scarf and detachable collar, size 12. Sheath dress has round neckline, soft pleats at lower edge of front waistline darts and back kick pleat. Short or 3/4 length sleeves.